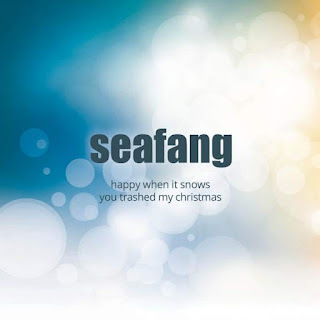 Snowflakes Christmas Singles: This blog is back and so is the Snowflakes Christmas Singles Club! This blog is back and so is the Snowflakes Christmas Singles Club! The days are getting shorter, the nights longer and colder (well, so far, only somewhat colder), so it is about time to bring this Christmas music blog back to life. And what better way to do that than to give you some information about the 2017 edition of the Snowflakes Christmas Singles Club! For me, the last five years the Christmas season already started around January-February, contacting bands and artists to ask them if they want to record two Christmas songs for a nice snow white Christmas single. And the joyful feeling of receiving the Christmas presents that you really have been longing for, I already experience early September, when the bands and artists send in their songs and artwork! So it's time to share a bit of this Christmas mood with you, by presenting you the 2017 edition of the Snowflakes Christmas Singles Club! The 2017 edition will feature three singles, by Scottish teen-c poppers Bis, French psychedelic garage rock band The Limiñanas, who team up with multi-instrumentalist Pascal Comelade and Florida indie / shoegazers Seafang! 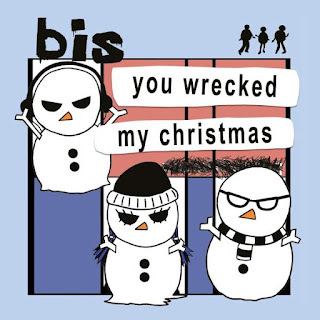 The A-side of the Bis single, the catchy Christmas anthem 'You Wrecked My Christmas' brings 'Social Dancing'-era Bis to mind, with punky guitars, uptempo drums, 80s synths and a chorus that refuses to leave your mind once you've heard it. On the B-side Bis take Saint Etiennes' synthpop-influenced Christmas hit 'I Was Born On Christmas Day', strip it to the bones, and it ends up sounding like Bis' interpretation of a 21st Century krautrock Christmas song. Bis was formed in late 1994 by teenagers Sci-fi Steve, Manda Rin and John Disco, debuted with a EP on a Spanish label in 1995 and followed it up with a range of 7”'s and EP's, on indie labels like Chemical Underground, Guided Missile and their own Teen-C Recordings. Bis' had a sound that was completely their own, an agressive yet poppy mix of punk, indie pop, riot grrrl, new wave and britpop. Their second EP for Chemical Underground, 'The Secret Vampire Soundtrack', managed to enter the British top 30, and the band was even invited to perform one of the songs of the EP, 'Kandy Pop', in Top Of The Pops. 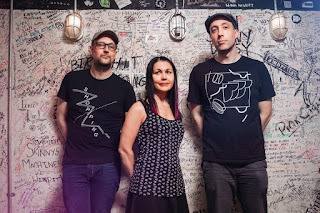 Major labels tried to sign Bis, but the band decided to stay true to their indie roots, and signed with Wiija Records, the label that released their debut album 'The New Transistor Heroes' in 1997. The album was released in the US, on Grand Royal, the label of the Beastie Boys. The album was also released in Japan, where Bis was very popular: the album sold more than 100.000 copies. After two more albums, 1998's 'Social Dancing', that had a more poppy and modern sound and featured hit single 'Eurodisco' and the 2001's 'Return To Central', leading the band further into electronic terrority, Bis split up in 2003. Members went on to other projects, only to return in 2005, with an extra rhythm section, als Data Panik. After three reunion shows and releasing a greatest hit compilation in 2007, Bis came back together in 2009, and hav been playing shows regularly ever since, releasing the 'Data Panik' album in 2014, a bunch of (split) singles and re-releasing deluxe editions of their albums on their own 'Do Yourself In'-label. The Limiñanas and Pascal Comelade's original, 'The Curse Of Santa Claus' has usual Christmas ingedrients like sleigh bells and church bells, and revolves around a story read by Odliz Bemer, but adds several vintage sounding organs, pounding drums and a fuzz guitar. The instrumental version of 'Silent Night' gives the much covered traditional a complete new perspective, with the melody being played by a glockenspiel, Herb Albert-style trumpets, violins and funky wah-wah guitars, all held together by a steady drumbeat. 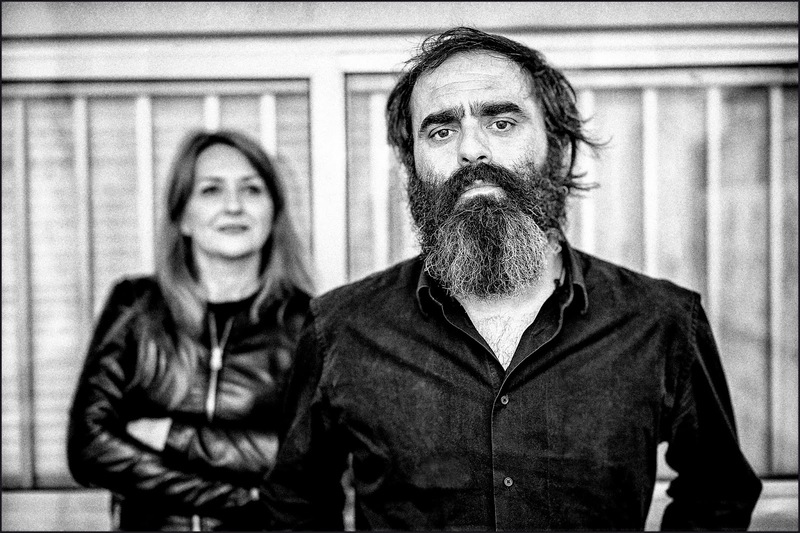 The Limiñanas are based in the south French city of Perpignan and are composed of guitarist, bassist, organist and main songwriter Lionel Limiñana and drummer and sometime vocalist Marie Limiñana. After having released a series of singles, on which the duo used several guest vocalists, The Limiñanas released their self-titled debut album in 2010 on US label Trouble In Mind. 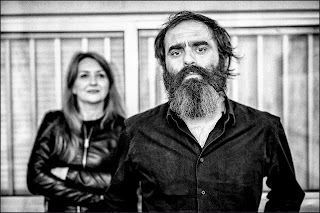 The music of the Limiñanas finds its inspiration in the French psychedelic pop music from the 1960s – think Serge Gainsbourg and the yé yé sound. The Velvet Underground and psychedelic garage rock are also often mentioned as references. This all leads to music that incorporates a lot of vintage elements, but still sounds modern and different from all the music that came before The Liminañanas and inspired them. The duo continued to put out singles and albums over the next few years, slowly incorperating new influences in their music, like European '60s and early 70s soundtracks and library music and. To quote Allmusic.com in their review of the band's third album Malamore: 'All their records to this point have been really strong; Malamore is where they make a grab for brilliance'. 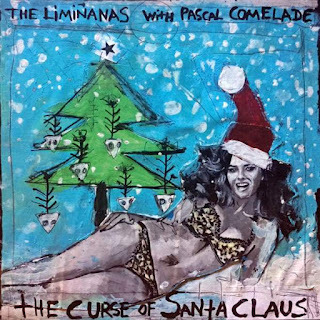 It was on this album that The Liminañas worked for the first time with French avantgarde composer, guitarist and multi-instrumentalist Pascal Comelade, a cooperation that led one year later to the album 'Traité de Guitarres Triolectiques' on Because Music, re-released in 2016 as 'The Nothing Twist' on Trouble In Mind. Comelade, who became known for using toy instruments an an important component of his music, has released more than a dozen albums since the early 1980s and has worked with artists like Robert Wyatt, Faust and PJ Harvey. 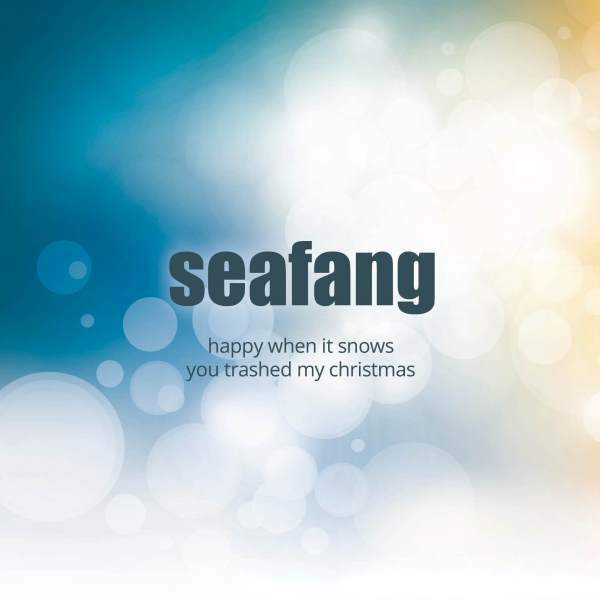 Seafang chose to cover a song that originally appeared on the 2012 Elefant Records Christmas compilation, 'You Trashed My Christmas', written by one of band's main inspirations, The Primitives. Without straying too far from the original, Seafang add some shoegaze elements and keyboards and make the song their own. The atmospheric and ethereal 'Happy When It Snows', a self-penned song that is featured on the A-side of the single, has layers of guitars and keyboards, that, together with Heidi's soft sounding vocals, create the feeling of floating amid all the snowflakes that are whirling down from the sky. St. Petersburg, Florida band Seafang formed as the result of a more-or-less spontaneous session in a local practice space. Guitarists Susan and Stacy were playing in a band together, wanted to start something new, and one day, they were joined by Paul on drums and Heidi on vocals and bass. When Stacy's husband Gary, who played in 1990s band Honeyrider, took over the bass for a few songs so Heidi could concentrate on vocals, it all clicked and the first few songs of the band that would become Seafang were written. About a year later, in the Summer of 2016, the band released its debut single 'Motorcycle' on local label Elephant Stone, that was brought back to live after four years of inactivity to release the single. 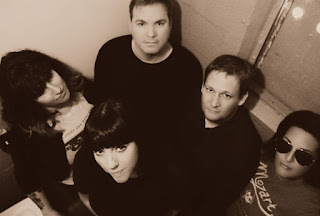 The single was very well received, with reviewers mentioning Lush, Shop Assistants, The Jesus & Mary Chain, the Dum Dum Girls and Veronica Falls to describe the music of the band – a mixture between the UK C86 bands, shoegaze and the sixties pop of The Shangri-Las and The Beach Boys. With a second single, 'Solid Gold' released on the very active Emotional Response label in the Summer of 2017, the band further broadened their appeal. The singles come in a limited edition of 320 copies on snow white vinyl and will ship in early November for those who pre-order the singles. Official release date is November 17, so from then on, you can also find the singles in most of the independent record shops in the UK. The singles can be pre-ordered at the Snowflakes Big Cartel page. Ordering all three singles together gives you a nice discount! And you can also find the back catalogue of the Snowflakes Christmas Singles Club there.